National EMS Week is May 20-26, 2018. 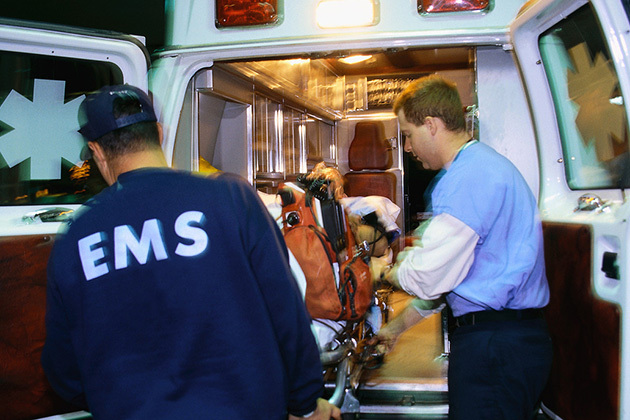 This week is dedicated to all those individuals committed to providing emergency medical services (EMS) that include dispatchers, first responders, emergency medical technicians (EMTs), emergency nurses and emergency physicians. In appreciation of the EMS providers in the county the Westchester Regional EMS Council will be hosting an award ceremony on May 17, 2018 at Purchase College, Purchase, NY. Gathered at this event will be hundreds of EMS providers, support personnel and their families that will be recognized for their efforts in saving countless lives. Please join us in congratulating all the individuals and agencies that support the EMS system in Westchester along with those who will be receiving special recognitions. We salute all the 2017 Westchester Regional Emergency Medical Services Council Award Recipients.